And here we are at the first of the concerts of Eastern Europe, in Poland. Here is Ignazio during the rehearsals of the concert. Look how many people !! Start the concert, the guys are very elegant! Here, the usual joking of Ignazio, in the background, imitates Gianluca who is singing Aranjuez ….. terrible Igna! Second part of the concert, let’s get rid of the jackets!! And here is a beautiful summary by Prestige who organized the event. I would say that the boys are very satisfied. These are gifts made by Polish fans. The gift to which the fans refer is a beautiful action that they organized during the song IL MONDO, everyone had to raise some colored papers that they found on their seats, at the end they composed the colors of the Italian flag. Really good Polish fans and really cute three puppets. Perfect guys, immediately to rest and then off, destination HUNGARY. Someone … has already arrived in Budapest and is waiting!! The boys around the streets of Budapest met a street violinist. These photos were posted by Ercole Ginoble. Everything happened during the execution of Ave Maria Mater Misericordiae, as you can clearly see from this video. At the beginning of the video you notice that Piero touches the bow tie, as if it were annoyed, maybe it has a discomfort in the throat, then just before starting his verses, he turns to the director and mentions a cough … begins his verses, but at the end of the first, he turns and looks towards Ignazio who immediately understands and continues singing, Piero’s sentence, all this under Gianluca’s tense gaze. And in fact, during today’s trials in Bratislava, Ignazio wrote this post. It is difficult to imagine how many difficulties there are behind a tour or concert. The day is and the day is not. But despite everything, always united! Apart from this small problem of annoyance, perhaps passed unnoticed, I would say that the audience was fantastic, very warm and the guys were very happy, so let’s enjoy some videos of the songs. And run to Bratislava for the third concert. The vivacity of Ignazio is well known to all, impossible to hold it in the presence of instruments. Here it is during the rehearsals before the concert. Too strong! What to say, it seems to me that these three concerts have gone very well, in particular I liked the harmony that exists between Piero, Ignazio and Gianluca and that once again has been reconfirmed. Congratulations on this first part of the Eastern Europe tour! Time to go home and then, get ready, fast, Lebanon is waiting for you. Wonderful Daniela, thank yo so much for all your hard work and all the postings. The Guys have once again wowed their audiences and seemingly had a great time themselves. I will now revisit everything and enjoy once again..As before, many thanks. Marion, I’m glad you enjoyed it !! Very nice Thank you, Daniela. Oh, Daniela! how beautiful! Grazie! Grazie mille a te Cynthia!! Thanks Daniela. Wish we had a video of the full concert. I had missed the boys this summer. Wonder if the velvet jackets are the old ones. In the very beginning of their concerts in 2009 they wore many different outfits. Gianluca used to love to dress with some fashion hits. Unfortunately, Gina, we are satisfied with the small videos. I was able to follow the entire concert in Budapest, live, but those who resumed were really far away, but the voices were wonderful. The jackets are the velvet ones from last year made by Lardini. Daniela where do you get your sparkle and energy? another wonderful post’ you always give us a front row seat on everything Il Volo. I enjoyed this concert very much, the boys are in their wheelhouse and their voices are in great shape. A great start to their Eastern European tour. The crowds are enthusiastic, full of excitement and just love these guys. Il Volo is in a glass by themselves, Buno Natale & Merry Christmas to all at Flight Crew! Vincent, but what a compliment you make me, thank you very much. There are a lot of news about our guys who are taking shape, it will be a very special year for them. Seeing people who love our guys so much, it’s so good for the heart !! Daniela, what a fun post. The guys look and sound great. They really do love being on the stage, and being in front of their fans. They have conquered another part of the world with this tour. Thanks very much for the detailed coverage. We look forward to whatever more is to come. Janet, you’re right, they brought their charm to Eastern Europe and now they have many admirers there too. Yes, the guys seem to be so happy to be doing concerts again, and soaking in the love of the audience. On the last concert in Bratislava my iPhone would not let me see the videos, but of course I loved the others. Jill, the boys have always said that they are having fun doing this job, and I think at certain times it is essential to have fun, otherwise, all these moves and concerts would be hard to bear. But when you do something with love, everything is resolved. Vicki , thanks to you for reading !! We are so lucky to have Daniela as our ‘Italian informant’!!!! 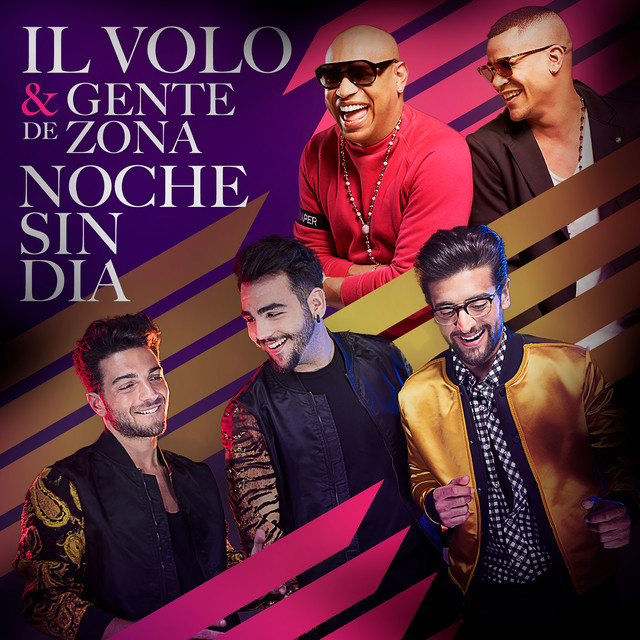 This site is loaded with the latest Il Volo news. Daniela, your and Pat’s input is very much appreciated. Love to read all the antics that Gianluca, Ignazio and Piero are involved in. Big hugs and many thanks. We, Ineke, like to keep you entertained too, and we’re happy to have succeeded. But that trio is me you and Pat, Italy, South Africa, USA !!! gifted and I love you. Gale, I also noticed how many young people at the concert, very well, I was very happy with this. I add my thanks like so many others to you Daniela for all you do for The Flight Crew. Love seeing the photos and videos. 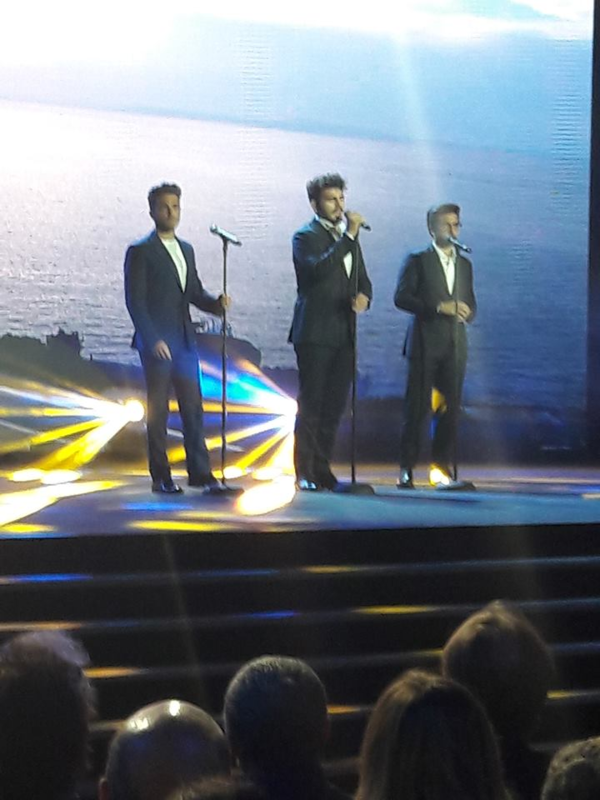 Piero, Ignazio and Gianluca looked and sounded great! I remember Ignazio saying in a PBS interview that the stage is like a second home to him. I truly believe that is true for all of them! It brought back beautiful memories of seeing them in the US on their “Una Notte Magica” tour! Surely these guys have grown to “bread and music” and sometimes here in Italy they say, in the affirmative sense “they are stage animals” as if to say that the stage just like their second home. Thank you Daniela. You are the best.